You’ve been dreaming about a Hawaiian vacation for years, and you’re finally making it happen! As first-time visitors, knowing what to do can be challenging. Do you want to sunbathe on a tropical beach? Explore a volcano or go for a scenic hike? Maui has so much to offer, and we are here to make sure you don’t miss out on anything. Take a look at our selection of things to do on Maui and start packing! Want to learn more about the fun activities to do around Maui? Download your copy of our complimentary Vacation Guide! Discover our recommendations for dining, outdoor recreation, shopping and more! Kaanapali Beach: Named one of the best beaches in the United States, Kaanapali is ideal if you’re looking for a picture-perfect white sand and pristine water setting. For adrenaline lovers, it’s also a top destination for cliff jumping! Kamaole Beach III: get lost in some of the best Maui views on the gorgeous Kamaole Beach Park! Napili Beach: This is the most family-friendly beach on the island. Enjoy its quiet, laid-back atmosphere surrounded by sea turtles! Wailea Beach: Wailea is a beautiful multicolor sands beach and a great place to meet other travelers in a friendly environment. Ho’okipa Beach: Ho’okipa is highly recommended for experienced surfers. It is also a world-class windsurfing destination. Lahaina Reefs: All levels can surf in this popular spot. With continuous wave sets and a family oriented spirit, it’s the perfect place to learn the basics! Honolua Bay: One of the best surf spots in Hawaii and in the world. You do not want to miss this one! The Cove: This place is great for beginners and is often referred to as the best place to learn how to surf. Make this a fun day activity and learn how to tackle the waves with Maui Surf lessons! Molokini Crater: Swim around the coral reefs along turtles and colorful fish in this stunning crater. Molokini is one of the three volcanic calderas in the world and will make for an incredible ocean adventure! 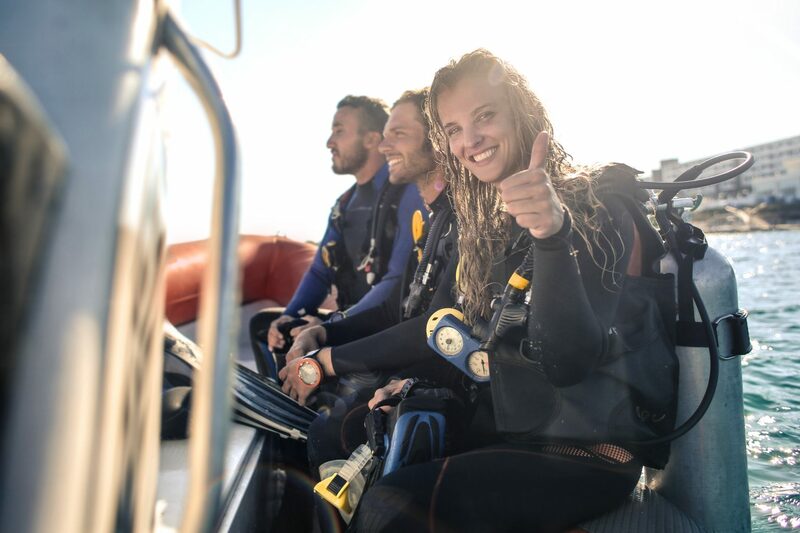 Black Rock: The perfect place to go diving with beginners. It’s an easy access spot where the fish are accustomed to humans. The Cathedrals: A breathtaking rock opening ideal for advanced divers. Its deepwater shines through the rocks giving the impression of swimming inside an underwater stained-glass window cathedral. Ulua Beach: It's only a mile from the condo and offers fantastic opportunities for snorkeling. The parking fills up quickly so make sure you arrive early! 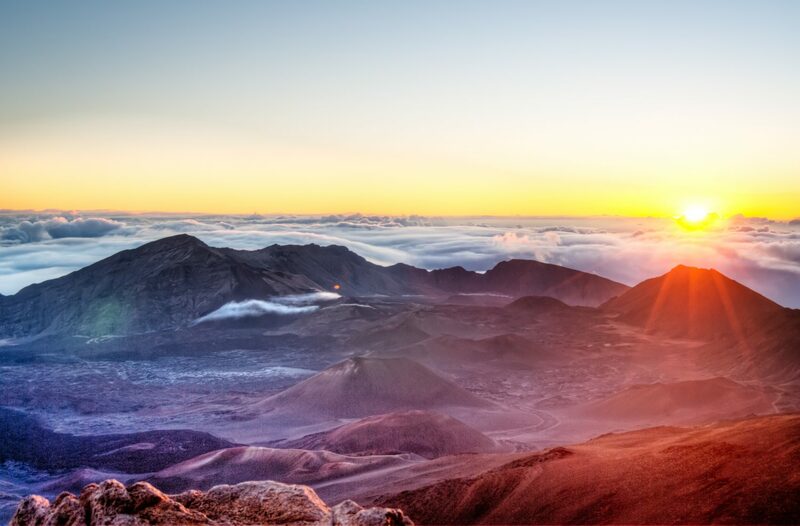 Haleakala National Park: home to the world’s largest dormant volcano. Head over there early in the morning to witness a breathtaking sunrise. Waianapanapa State Park: stunning black sand shoreline with hypnotic blue waves contrasting with the dense green forest. Get ready for an explosion of colors! Iao Valley State Park: has amazing, striking rock features and a must-see botanical garden. Maui has more than 14 highly praised golf courses. Practice your swing in the most beautiful surroundings in the world. Wailea Gold and Emerald Courses: One of the best golf courses on the planet. Capture the spirit of Hawaii on this legendary and awarded green. Kapalua Golf Course: Ranked amongst the top resorts in the world, it offers an authentic and prestigious experience for golf lovers. Maui Lani Dunes: If you are looking for exceptional scenery, look no more. 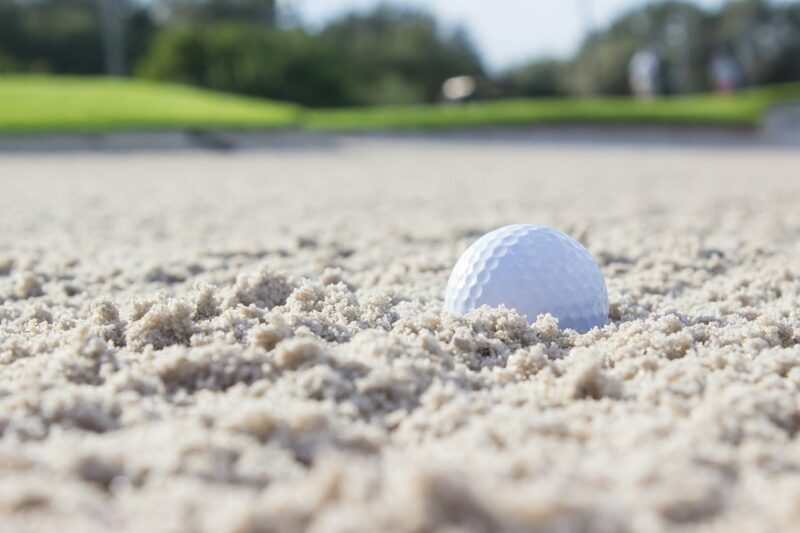 Play a game through Maui Lani’s untouched natural dunes! Here are our top recommendations for the best restaurants on Maui. 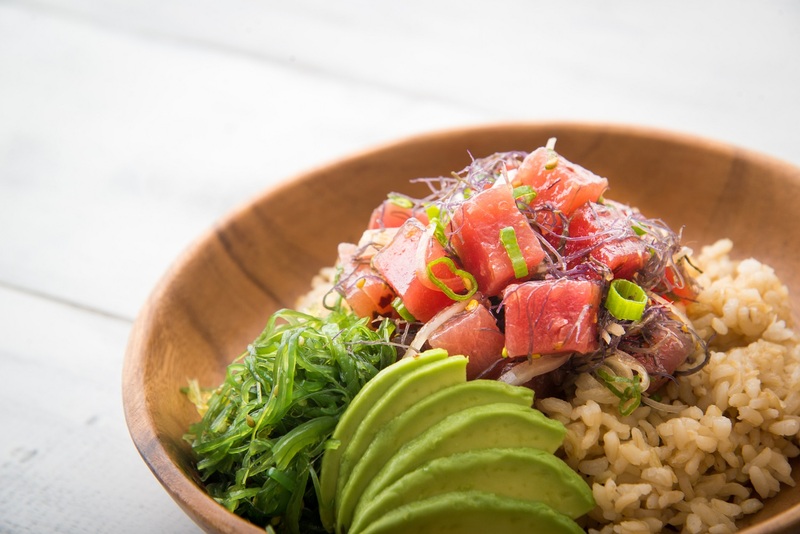 Morimoto Maui: With the most famous chef on the island, Morimoto offers breathtaking views of Mokapu Beach. Their gourmet fusion menu is a mix of Japanese and American favorites. Mama’s Fish House: Maui’s first fresh fish restaurant established in 1973. Try their iconic stuffed Mahi Mahi! Dukes Beach House: Dukes Beach House offers a locally sourced eclectic menu. It’s perfect for brunch or happy hour! Matteo’s Osteria: Italian inspired restaurant with an impressive wine list. There are more than 64 wines from all over the world to enjoy with delicious homemade lasagna. Humble Market Kitchin: get a taste of Hawaii near our units at this elegant Asian-fusion restaurant. Spend the Hawaiian vacation of your dreams in our rentals here at PMI Maui! You can make yourself at home in our comfortable properties, all equipped with free WiFi, large flat screen TVs and luxury bathrooms. 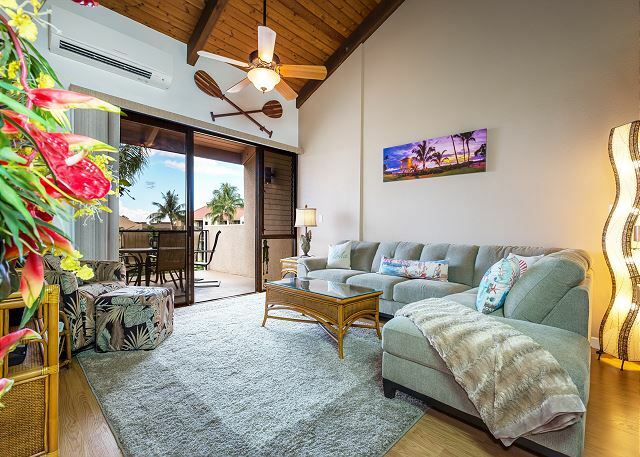 If you’re not sure where to start, book our stunning two bedroom Kamaole Sands condo in Kihei and enjoy beautiful water views just a few minutes away from the beach and restaurants. You can even Play a couple sets on the tennis court before relaxing by the pool with a delicious Mai Tai in hand. Book your rental today and enjoy the Hawaiian way of life at PMI Maui!